Interlocking circles form the unique shape of the Marco Polo S Chandelier by Eichholtz. The transparent material recalls the beautiful glasswork of explorer Marco Polo’s home city. Composed of three layers, the design is inspired by contemporary art. Hang in a clean and minimal hallway or over a contemporary dining table for a luxurious feel. Creating unqiue light patterns, this glamorous chandelier will suit both contemporary and classic interiors. 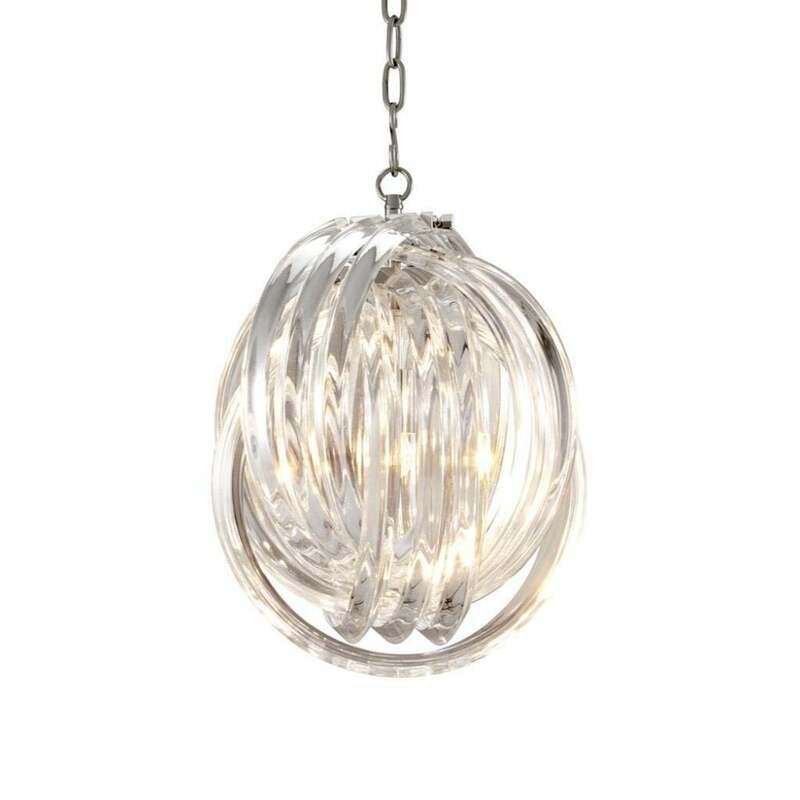 Complete with a nickel finish chain, this light is adjustable to suit your interior requirements. Make an enquiry for more information.